After your ostomy surgery is completed and you are settled in on the appliance you want to use, it is important to take excellent care of the skin around your stoma. It is a common issue and one we hear from customers on a daily basis. Leaks from your ostomy appliance. It can be very acidic. Sizing of the wafer opening can be either too large or too small. If it's too large leaks can occur and if it's too small it will pinch the stoma. Skin sensitivity to tapes, adhesives, protectants and other materials. Changing your ostomy pouch too often. 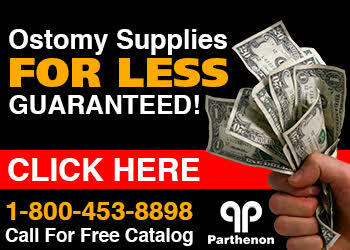 You can buy all sorts of ostomy accessories to remedy these problems at Parthenon. We sell Coloplast, Convatec, Hollister and more!